Why do your employees keep forgetting their training? Chances are, you’re not engaging them correctly. 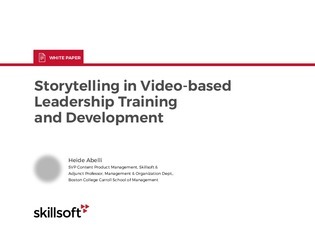 In this white paper, discover how storytelling optimizes the brain for learning and memory based activities, and explore how narrative-based learning techniques are being used to create memorable training experiences, and deliver high performance results. To learn how narrative-based learning can empower your workforce, explore this white paper, and discover the tips you need to make your next training session a success.